Winter is here, and it seems like it gets colder each year. 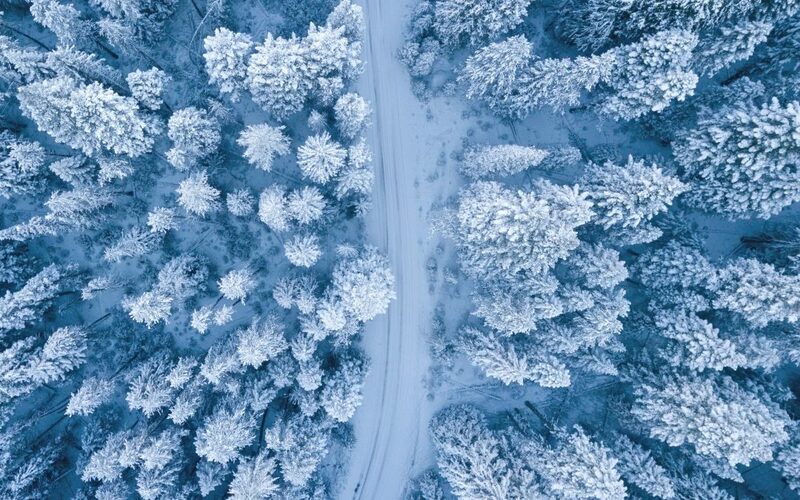 No matter how you get to and fro, some cold weather tips can help keep you, your vehicle and your home protected from the cold and its effects. Here are nine cold weather tips to keep you warm and safe during the winter months. Always back a cold weather bag in your car or RV. This includes a few blankets, a weather radio, a first aid kit, jumper cables, bag of sand, flashlights, shovel, small tool kit, emergency tire sealant, water and food, ice scrapers and extra batteries. These items will help keep you warm, get you out of the cold quicker and perhaps save your life if you get stranded. Before a storm hits, make sure your car and RV are ready for winter, including that everything is in working order, fluids are filled and you cold weather bag is ready. If you have to travel by foot or bike, make sure you’re dressed in layers and to extra time to get to your destination. Even when traveling by car, having extra layers you can take off is the key to staying warm. Jackets, sweaters, long-sleeved t-shirts and flannel underwear can be worn to keep warm, and you can remove the layers as you become warmer. Make sure your clothing choices closest to the skin are made of materials that don’t cause you to sweat. Otherwise, you can face dehydration. At home, and even in your RV, drip at least three faucets and open the cabinets where plumbing is located. This will help keep your pipes from freezing, which is one of the most common weather-related problems when cold weather strikes. In your RV, at home, and at the office, make sure your thermostat is set at 60 degrees or higher. More importantly, make sure it’s that warm in each room in your home, office or RV. It’s essential to keep heat flowing through each warm not only to keep you warm and your body healthy but to keep pipes from freezing. Never, ever, ever leave your pets outdoors in cold weather, especially when temperatures drop below freezing. While they may have a kennel and water, water can easily freeze when the temperature drops and their shelters will only protect them for a short time. Let your pets out to do their business, then let them back in to keep warm. Turn on the TV, radio or check the Web for the latest weather reports. See what the temperature is, what the weather is like and how low the temperature is likely to drop. While it may not be cold right now, it may get much colder down the line. This allows you to prepare by bringing a spare jacket, winter coat or other winter weather gear. If you get stranded, whether walking or driving, don’t panic. Try to stay as warm as possible, don’t over exert yourself and reach out to those around you whenever possible. If in a car or RV, stay awake, run the motor only for 10 minutes an hour with one window open to avoid carbon monoxide poisoning and make sure to move your arms and legs throughout the time stranded. In extreme cold, don’t risk venturing out unless you have to. While schools, office buildings and roads may be closed, if it’s too hazardous to go out, don’t risk it. It’s not worth your life to get to work, school or anywhere else when it can be rescheduled.